Home NEWS & EVENTS Bergen Buzz! WELCOME BACK TO SCHOOL! Bergen Buzz! WELCOME BACK TO SCHOOL! I am so excited to start another amazing year at Bergen Arts & Science Charter School. Our elementary students are visibly excited and ready to begin another great year. This year at Bergen Elementary, we welcome some new staff member to our team. We are happy to welcome Ms. Tekin (1D), Ms. Illescas (1C), Ms. Collier (2B), Ms. Mol (3A), Ms. SanMarco (3B), Ms. Schussler (3C), Ms. Cusick (3D), Ms. Christian (Music), Ms. Burgos (school receptionist), Ms. Montemarano (permanent substitute), and Ms. Crane (school psychologist). We are very happy to have them on our team! We continue to encourage and foster the strong home school connection BASCS is known for. Active participation in your child’s education is imperative for their success. Being on time for school every day and keeping absences to a minimum is instrumental in developing positive work habits and ensuring success in school. We ask that you try to plan family vacations during the summer break, holiday vacations, and/or over spring break. Our academic calendar is available on our website. Being present in school will help eliminate the possibility of your child developing gaps in their education and assist in student achievement. 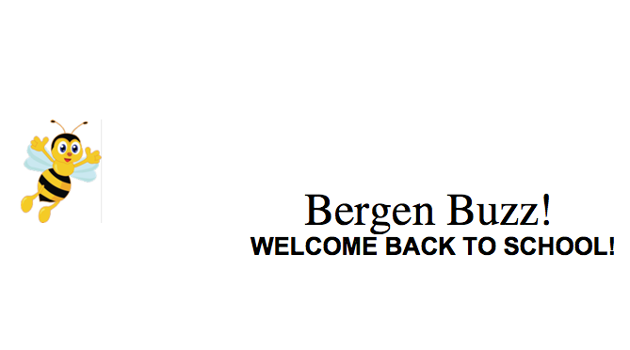 Please, take the time to become familiar with the Bergen Arts & Science Student Handbook. This handbook addresses many issues that may arise during the school year. It is our objective to be proactive in assisting students in being successful in school. As we begin another school year we would like to remind you of some drop off and pick up procedures. Please be mindful that we share Banta Ave. with the public school and there is often traffic congestion in the morning and afternoon. Garfield Police Department has advised that they will be issuing tickets to those individuals that do not follow the above guidelines. I appreciate your cooperation and understanding and I look forward to another fantastic school year!